November 7, 2018 / Modified nov 7, 2018 1:47 p.m. The U.S. military arrived in Arizona to join federal immigration agents last weekend. Among their first tasks: erecting razor wire along parts of Arizona’s border with Mexico. 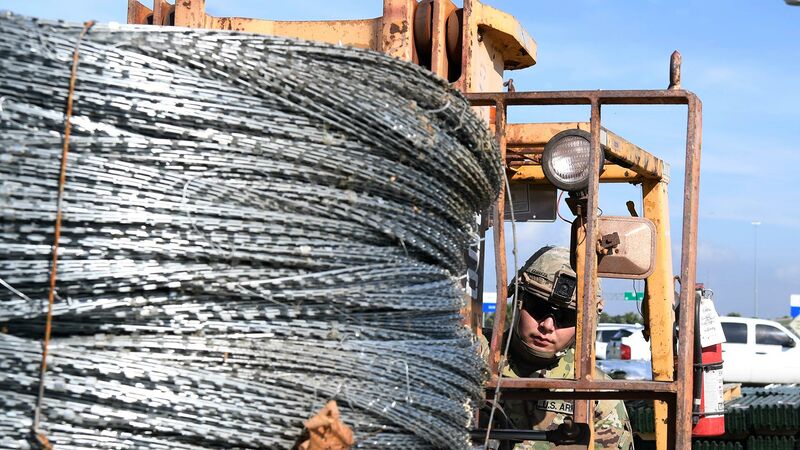 Local officials and activists said uniformed American soldiers were raising coils of concertina wire on the walls of the downtown Nogales port of entry. "Now we see a mesh that’s gone up, a barbed wire that gone up, and it really is about a ploy to create fear and create a spectacle," said Cesar Lopez, a Nogales activist with the youth group Seeds Semillas. The soldiers arrived as part of the domestic military deployment announced by the U.S. government last week. Soldiers will work with Customs and Border Protection agents. CBP declined to answer questions about the razor wire going up but said in a prepared statement quote, "We will not allow a large group to enter the U.S. unlawfully."